On June 10, the Worcester Police Department received a report of a two-vehicle accident involving injuries. The accident was reported to police around 1 in the morning, and first responders arrived shortly afterward at the 100 block of Harding Street. Police and fire crews including EMTs were dispatched to the area within a short amount of time. Initially, emergency responders directed traffic around the area, and, within the hour, the accident was cleared. The victims spoke to police about the incident. One person was injured in the crash, and they were given medical care at the scene. The extent of their injuries is still being determined. Statements were also taken from those who were involved in the accident. No fatalities were reported in this incident. 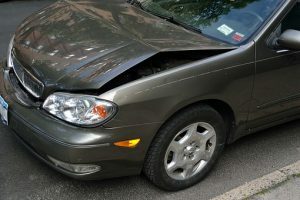 When driving in neighborhoods you’re familiar with and on quiet roads, it is easy to think that car accidents cannot happen, but this is not true. Car accidents can occur anywhere, and these accidents can sometimes be cataphoric and cause incapacitating injuries. This is why it is vital for all drivers to remain attentive and follow all traffic laws. We can all do our best to keep ourselves and others safe while on the roads in our community. Even though this accident occurred on a quieter road, injuries were still reported. Luckily, most car accidents do not cause injuries, but some of them do. These accidents can leave victims suffering from injuries. Victims who are injured because of reckless driving can seek help for their injuries so they can focus on moving forward with their lives. People who are injured because of the reckless actions of other people deserve help. They do not deserve to suffer because of the accident. We are dedicated members of our community and because of this, we want our roads to be safe for us and everyone else in the community. At the Law Offices of Jeffrey S. Glassman, we see how devastating reckless driving can be as we help victims move forward with their lives. We know that an accident can occur when we least expect it, so we are also here to help victims recover their losses so they can get back to their lives.